Dan Henderson has delivered Fedor Emelianenko his third defeat in a row in a Strikeforce M-1 Global heavyweight bout. Hardly had the bout begun when both fighters started a desperate exchange of strokes, but soon the pace came to a standstill. 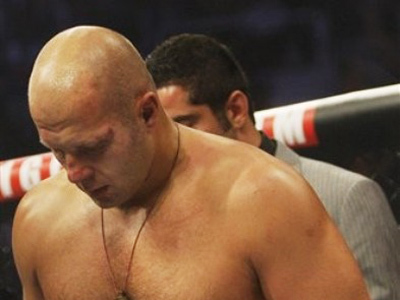 Fedor was first to break the deadlock, knocking Henderson down with under a minute left in the first round. 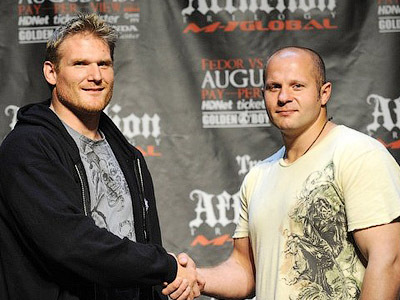 However Henderson, the reigning Strikeforce light heavyweight champion, remained composed, turned Emelianenko over and pounded him with a body blow then with a flurry of right upper cuts to Fedor's head before referee Herb Dean stopped the fight at 4:12. "I've been a huge fan of Fedor's forever. I respect him so much as a fighter. For me, that's a huge accomplishment," the Province quoted Henderson as saying. "I think he wasn't expecting that punch to come up from underneath," Henderson also commented. 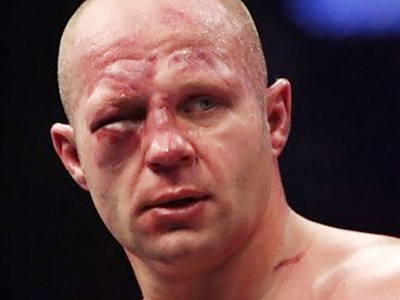 Fedor, meanwhile, believes the referee could have continued the fight, but he took the decision humbly. "I think it was early. I don't want to say anything bad about the referee but it seems to me it was early," said Emelianenko. "I was clearly hit but I wasn't hit flush, directly. It seems to me I could have continued but the referee chose to stop the fight." "It's God's will. As God will have it for me, that's what I'll do," the Russian concluded. After nearly a decade of perfection the 34-year-old’s career is now in question. 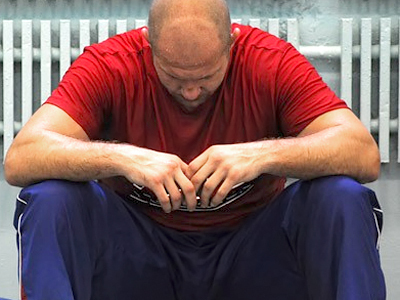 Emelianenko had gone an unbelievable 29 straight fights without a loss, beating Andrey Arlovsky, Brett Rogers, and former champions like Antonio Rodrigo Noguiera, Mark Coleman and Tim Sylvia along the way. But in his last three appearances in America, he was defeated by Brazilians Fabricio Werdum (June 2010), Antonio Silva (February 2011) and now by Henderson.